On this page you have some interesting Cape York facts. Cape York is not only little visited and little known for most of Australians, some facts of Cape York are also different from the rest of Australia. Ever since the ancient supercontinent Gondwana broke up, we all know Australia has been a very isolated continent. But there was in fact one exception. During the cooler periods in the Earth's history, when the sea levels decreased (because the increasing ice takes up increasing amounts of water), land bridges were created between the tip of Cape York and Papua New Guinea (at some stages also between PNG and Arnhemland). That opened up a route for animals, and resulted in an exchange of both plant and animal species. It was also the arrival route for the first indigenous people, meaning Cape York has Australia's longest human history (this could also apply to Arnhemland). It was the place for the first white settlement since Captain James Cook ended up staying long enough (that it was called so) while his ship was repaired. And it was the place he claimed the eastern Australia for England. On top of all that it was a very busy place during the gold rushes, with some of the largest towns at the time in Australia. And today it is all the opposite - remote wilderness, with a few small towns and a small population. Quinkan art near Laura is some of the best Aboriginal art in Australia. 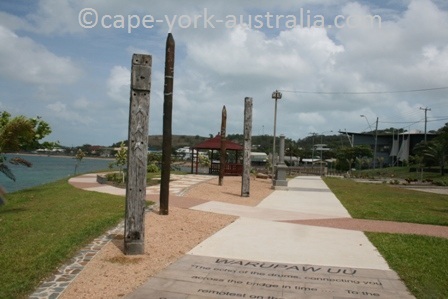 Cooktown has a lot of James Cook history. 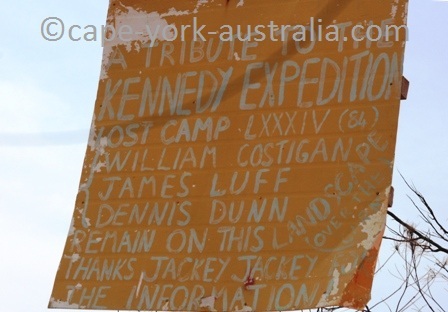 There are camps from some of the most famous land expeditions such as Kennedy's. And there is plenty of gold mining, WWII, and the first settlers' history. There is also some interesting geology. The three distinctive geological regions are Great Dividing Range, Laura Basin and the western plains. There are some impressive rock faces, sand dunes, limestone caves, red soils, granite boulders and bauxite mining. There are some interesting plants in Cape York, its tropical rainforests and open eucalypt woodlands, mangrove swamps and freshwater creeks and billabongs. 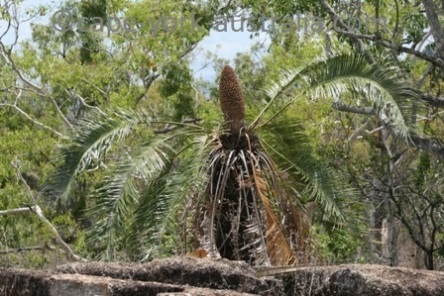 Some of the plants are also found in Papua New Guinea but nowhere else in Australia. Some of the wildlife is common elsewhere in Australia, or elsewhere in north Queensland. There are kangaroos and wallabies, brushtail and ringtail possums, but there are no koalas or wombats. Some of the birds include cassowaries and bush turkies. Some of the animals are found nowhere else in Australia - only on the Cape York Peninsula and our northern neighbour Papua New Guinea. These include cuscus and striped possums, green tree pythons and birds like eclectus parrots and palm cockatoos. So what's good about Cape York and Queensland? When I first came to Australia, I lived in Sydney for two years. During my uni holidays I travelled in all the mainland states except Queensland, because I knew I was going to visit Queensland on a separate trip. Then I visited north Queensland, and the following year I left Sydney to live here and never looked back. Rob (being from Victoria), still cannot stop making jokes about parking lots that the signs will let you out the most complicated way, footpaths that suddenly just end as if the concreters left for a lunch and forgot to come back, and a lot of backwards town planning (well those towns were obviously planned for a much smaller population). They may call us hillbillies and banana benders, but personally I think there is something in that "Queensland - the Smart State" number plate (that Rob giggles at, too!). But let's stop talking and get some Cape York and Queensland facts. The state of Queensland covers about 1.7 million square kilometres of land. North Queensland is a vague term but most often considered starting in Townsville, which is also the largest city this far north, and actually the second largest city in Queensland. The area north of Cairns is known as Far North Queensland, and Cairns is the largest city this far north. It is a bit larger than half the size of Townsville. Even Cape York can be vaguely defined, but the 'peninsula proper' is most often considered starting in Cooktown. According to this definition, it covers about 140,000 square kilometres - which is about the same as the state of Victoria. The population of Victoria is more than 5.5 million while in Cape York it is less than 20,000! Most of the population lives in a handful of communities and small towns such as Cooktown and Weipa. It is a beautiful place to visit and live, and a very special corner of Australia. 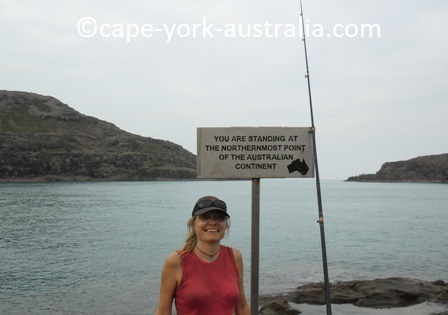 So what's good about Cape York and northern Australia? First, I love its warm climate. Being from the cold northern Europe, I never complain about heat. I love the tropical climate and the humidity doesn't worry me. Rain is not that bad either when the weather is warm. Second, I don't like crowds. I think it's way too crowded in the southern parts of Australia and I like to be in places where not too many people go. We have a nice small amount of people, and also Australia's longest human history. While in the Northern Hemisphere you go south to go to warmer climate, down here things are the other way around. The further north you go in Australia the warmer the climate gets. Southern parts of the country are quite cool. Tasmanian summers are cool and winters are snowy. Victoria is also a snowy place, mainly because of its altitude. Further north it gets gradually warmer and northern Australia has a beautiful tropical climate. Australia has been an isolated continent ever since the breakup of Gondwanaland, except during the cold periods in the Earth's history, when a lot of water was taken up in the ice, causing sea levels to decrease and creating a land bridge between Cape York and Papua New Guinea (at some stages also to Arnhemland). This did not only give us a lot of species we share with New Guinea and not the rest of Australia - it was also the way the first indigenous people came to Australia (this could also apply to Arnhemland). 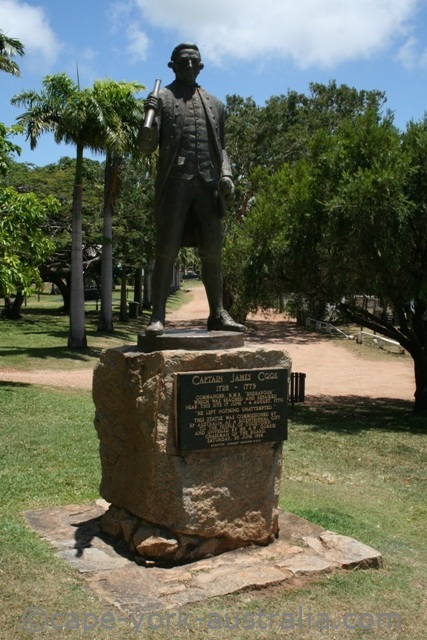 Captain James Cook also spent a fair bit of his time here, repairing his ship in what is now Cooktown and claiming the eastern Australia for England on Possession Island just west of the tip of Cape York. But once the first convicts started to arrive, they came to what is now Sydney, and started populating the country down south. New South Wales, Victoria, South Australia and Tasmania started growing first, and as you would know, are still much more populated than Western Australia, Northern Territory, and inland and far north Queensland. 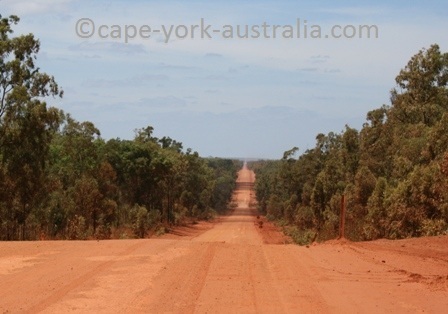 Cape York is still very little populated and one of Australia's last frontiers. Yes, we have jellyfish and deadly crocodiles that make the beaches useless. We also have dengue fever, tropical cyclones, and the seemingly endless wet season when we get flooded in and the shops run out of groceries. And, Cape York is not cheap. Distances are huge and transport costs more money. Groceries are more expensive, fuel price almost doubles, and real estate prices are sky high. But that's the price we are willing to pay to live in such a beautiful place. So what do they mean by "Cape York frontier"? It is often said that Cape York is one of the last frontiers in Australia, but what does it mean? In Australia, a frontier means unexplored and unknown land. So the "last frontier" refers to the last explored land, which is generally the Outback - anything that is away from the country's more populated areas in the south-east, south, south-west and the coastal Queensland. Historically, it refers to the areas of Australia that were explored last. Cape York definitely wasn't the last frontier for indigenous people. They first arrived in Cape York as they crossed the land bridge that existed at the time between the tip of Cape York and Papua New Guinea. Neither can you say that about the early sea explorers, many of whom approached Australia from the north and had (between them) sailed all the peninsula's coasts before the 1700s were out. But when it comes to the early land explorers, who started exploring the country from the south-east, Cape York was one of the last areas to be explored. Ludwig Leichhardt's expedition (1845) was the first one, but they only got up to where Burke Developmental Road is today. Edmund Kennedy's expedition (1848) was the first one to actually reach the Tip of Cape York, even though it was a disaster. They proceeded far slower than predicted, run out of food and energy, and Kennedy had to leave some of his men behind near Weymouth Bay, and later again at the Lost Camp 84, today along the southern Bypass Road. Three of the men were left there (and never seen again) when Kennedy and Jackey Jackey took off to the Tip of Australia where Kennedy was fatally speared in the remote bush near Escape River, not too far from Ussher Point and Sadd Point. Today, the term Cape York frontier is also used for one of the last areas to be explored by travellers. And this is definitely true - while the Cape York frontier is far from inacessible today, it is still unexplored by most Australians, and unknown for most people. Cape York may look crowded at one stage in the middle of the Dry season, but considering this is how bad it ever gets, and it only lasts a few months before the crowds leave until the following year - this is one of Australia's emptiest places. 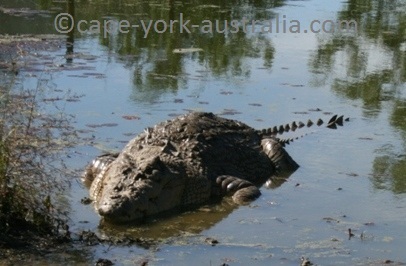 And that's what makes Cape York frontier such an exciting place to visit. Something adventurous, something challenging - not what everyone does. That's what I like about Cape York myself.